40 years and has built up a reputation for quality and service second to none. We are now installing for our third generation of customers, and we are fast becoming a family tradition throughout the North West which we are proud of. 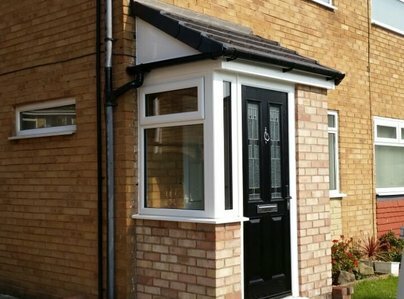 We supply and install a wide range of replacement Swish PVCu & Crown Aluminium Windows, Doors, Conservatories, Porches, Canopies, Fascias, Soffits, Guttering and Replacement "Misted Up" Sealed Units. 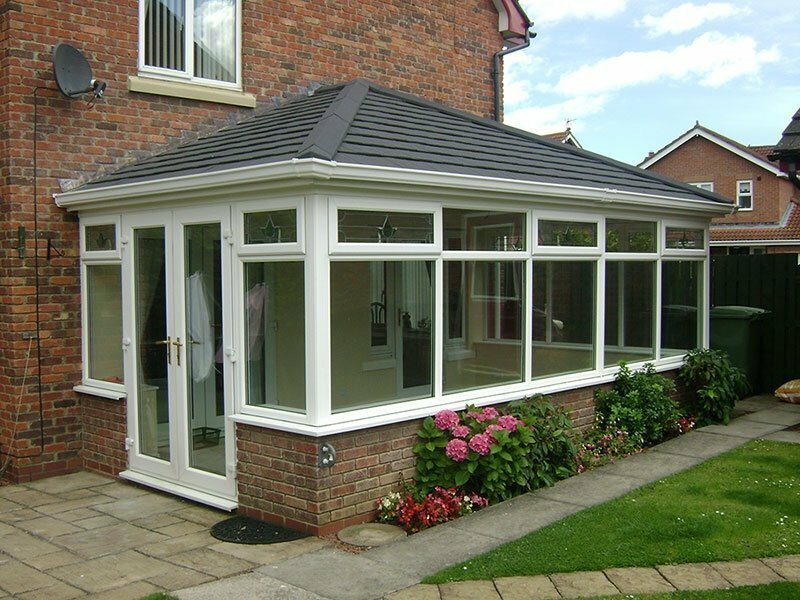 We supply and install Timber Conservatories, Windows & Sash Windows and also supply and install new or replacement Tiled Conservatory & Porch Roofs. We supply and install insulated Garage Doors and Frames. Please feel free to give Linwood a call or drop us an email for a Free No Obligation Quotation in the comfort of your own home or at our showsite office. 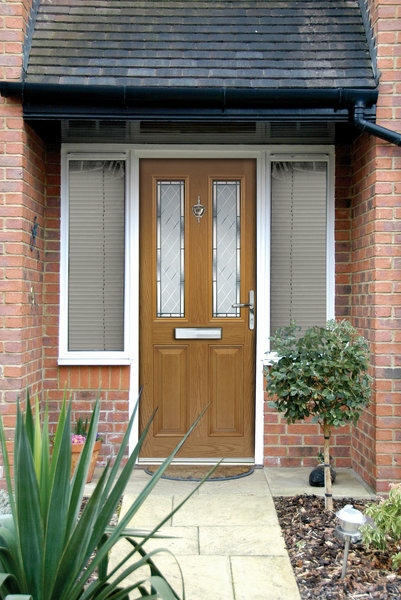 Great service overall, good value for money, quality Swish frames (very nice), from ordering to installation was very quick (however only two windows so done between jobs). No nonsense salesman with a "take it or leave it" quote. Installers were friendly, patient and helpful with minimal mess. I will use again definitely. 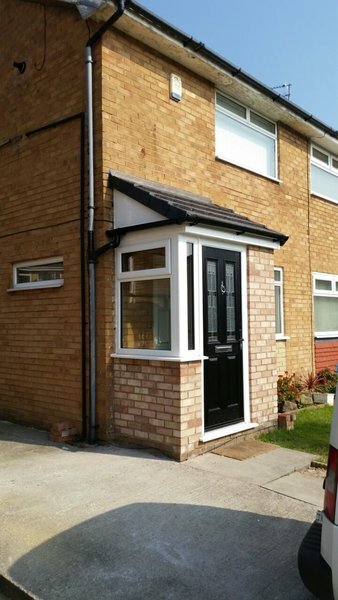 We had front door, back door & kitchen window replaced. Very pleased with the standard of service we received, from the initial meeting through to the end. There were 1 or 2 very minor issues that were rectified within days. Would not hesitate to recommend. Very pleased with the service we got from Linwood from the start. Straight forward pricing and the job was completed efficiently and clearly. I have had a new set of doors fitted to change over from sliding doors. The work was done expertly and quickly with minimum amount of dust etc. We are very happy with result. The two fitters did a fantastic job and after they had gone it was so clean you wouldn't believe we'd had every window & door replaced. They showed us how to operate the locks & were really friendly. Brilliant value for money. Made a good choice with the Georgian French windows, they look lovely and are of excellent quality. Installers worked really hard on a very wet day. I would certainly recommend Linwood, good service from beginning to end! Having dealt with Linwood before, I had no hesitation in using them again and was not disappointed. This work is of a high standard in every way. A very professional job. Extremely tidy. Very satisfied with the work. Fitter arrived in good time, worked through day until job finished. Extremely pleasant and helpful. Very professional. Excellent product, fitter highly skilled.